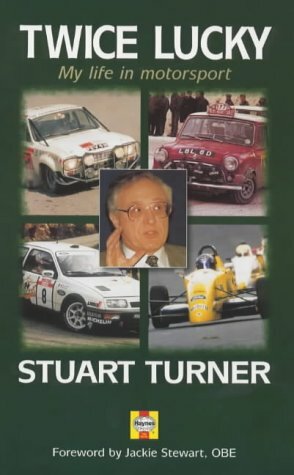 A very detailed look at Stuart's life.Lots of insight about how rally teams were run in the good old days.If you're a rally fan, you'll enjoy his life story. It was a pleasure to reminisce about the glorious days when Ford Motor Sport ruled world rallying. I washeavily involved in club rallying during the 70's andmid 80's, and to get an insight into the workings of theCompany at that time proved enjoyable and filled in thegaps of what 'Joe public' knew of FoMoCo. It was also apleasure to read about the early days of rallying, andcompare with the current trends and how vastly different World championship rallies are nowadays. A great read from start to finish. S C H Davis, known to friends and fans as Sammy, is one of the most popular and enduring figures in the history of British motor sport, universally remembered for his heroic, glorious victory for Bentley at Le Mans in 1927. Born in the 1880s, he experienced and was involved in the earliest days of motoring before going off to the First World War in 1914. Though injured, he survived the War and in 1919 joined the staff of The Autocar. In the 1920s he earned a reputation as a fast, reliable and intelligent driver in competition, showing a profound sympathy and understanding of machinery. This activity, along with journalism, continued into the 1950s. When hostilities broke out again in 1939, though now in his 50s and too old to enlist, he was able to wrangle his way into the war, and served through to 1945. This is his last autobiography, crowning the two volumes of his experiences that were published in 1932 and 1949. It was drafted in the 1960s, when he was in his 80s, but was never published. Nigel Mansell first took part in a World Championship Grand Prix in 1980, and didn't win one until five years later. From that moment, however, his career made bigger headlines and attracted more public adoration than any British racing driver had received before him. He rapidly acquired the happy knack of winning in front of home crowds, and British fans responded by turning out in record numbers whenever he raced in the UK. Drama and Mansell went together like fish and chips. Physically, he was as fit as any top athlete, yet he put so much of himself into driving that he regularly finished races in a state of collapse. Psychologically thin-skinned, his relationships with other drivers and the teams that employed him were often stormy. Needless to say, the press loved this quintessentially British sportsman just as much as the fans did. When he made his sudden and emotionally charged departure from Europe after becoming World Champion in 1992, his new career as an Indycar driver in the USA continued to make headlines at home. Nigel Mansell's life in racing, full of self-sacrifice and spiced with drama, is presented in this fascinating and insightful book. 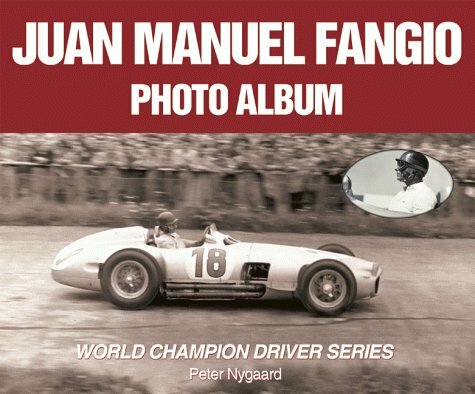 Packed with over 250 glorious photographs, most of them in colour, it tells the story from the days when he washed windows to pay for his racing all the way to his retirement from F1 in 1995. A biographical essay analyses the British champion's rise to fame and includes illuminating contemporary comments from some of the important people who got to know him well. The character who emerges from these pages is a sportsman who stunned press comment and preferred to show his abilities on the race track. Perhaps he didn't have the artistry of a Prost or a Senna, or the low cunning of a Piquet. But his driving was fast, consistent and merciless. As one leading F1 commentator recently observed, "as a racer, he was among the very best I have ever seen". In 1999, the Formula 1 World Championship is 50 years old. Here Nigel Roebuck, rated by many fans as the finest F1 writer in the world, presents his personal selection of highlights from the past half century, filled with his own memories and colorful anecdotes. Roebuck looks at key events including the first World Championship GP at Silverstone in 1950; the arrival of Lotus in F1 in 1960; Ferraris year of trauma in 1982; Damon Hills heavy weather championship in 1996; Ayrton Sennas tragic death at Imola in 1994; Mika Hakkinen vs Michael Schumacher in 1998; and much more. Also contains pen portraits of racing legends Moss, Stewart, Senna, Prost, Ecclestone, Williams and Watkins. Well done! This book is one of the best books that I've ever read. It does not concentrate on the stats or indeed particularly on the winners of the World Championship. It takes a personal look at the people, races and years that have shaped F1 from it's very begining. 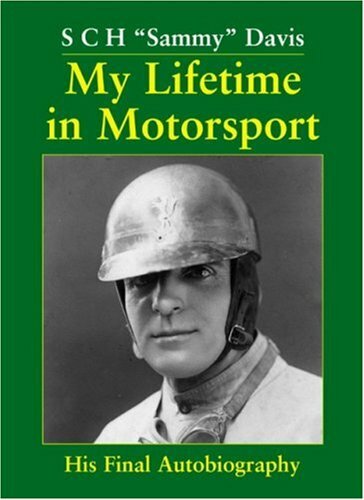 It is a great read for any F1 fan as Roebuck succeeds in not only jogging our memory of the past but also telling untold behind the scenes stories in detail not to mention a tinge of humour. I trully love this book, in fact I think I've read it cover to cover at least 3 times if not more. 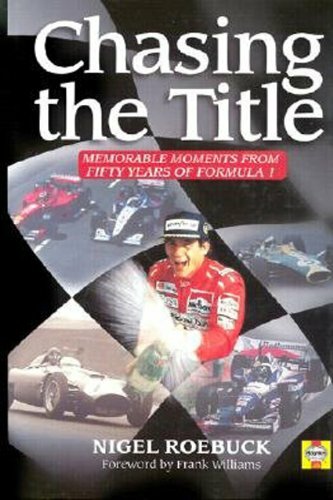 Nigel Roebuck, one of the finest journalists to cover motorsport in general and Formula One in particular, presents in this booka wonderful series of sharp vignettes covering the entire period of the modern World Championship. Roebuck begins at Imola in 1994, when, as he puts it aptly, "everything changed" with the tragic death of Ayrton Senna and the introduction of knee-jerk "safety" improvements which have led only to boring racing and have not, as we learned earlier this season, prevented what are, given the nature of the sport, inevitable tragedies. Hard as it is to believe, the "turbo years" of the late 70s and 80s are beginning to look suspiciously like a final golden age, which they certainly weren't at the time, but, given the emasculation of tracks, over-dominance by a few teams, and drivers who do not understand the history of the sport and drive like they're the only man on the track, they're beginning to look pretty good in retrospect. But I digress. Between the covers of this book you'll find incisive portraits of several great drivers (among them Phil Hill, Piers Courage, James Hunt, Ayrton Senna, and Jochen Rindt), car owners (the great Rob Walker, who long after his car-owning days were over wrote wonderful F1 journalism for Road & Track when R&T was still a great magazine), and others associated with the F1 scene (journalist Denis Jenkinson, F1's official doctor Professor Sid Watkins, and current F1 boss Bernie Ecclestone). He also writes of several races - the great slipstreaming duel at Monza in 1971, the first win for Renault in 1979, Dallas 1984 which ended with Nigel Mansell trying to push his car over the finish line in the blazing heat. As an added incentive, there are sections of black and white and color photographs. More and more nonfiction books seem to be doing away with illustrations, and with F1 being the visual spectacle that it is, we can be glad that Roebuck and his publisher resisted this new and unfortunate trend. Turn to the section of color plates and feast your eyes on the first photograph - Fangio in the Maserati 250F at Monaco in 1957. The greatest driver, the greatest car, the greatest race; one picture says it all. Highly recommended to anyone interested in Formula One. When I first saw this book's title, I nearly gave it a pass, thinking it was just one more in an already well-covered niche.But Nigel Roebuck's name was enough for me to chance it. (If you've read his columns you know he's always interesting. )This book is really unique.Despite the title, it's not an attempt to condense a history of 50 years of racing.It's more like a collection of essays about people and events that are not well covered elsewhere.I've read a LOT of books about F1 (cars, teams, drivers, ...) but each chapter of this book had new and intriguing things to say.It was a really enjoyable read, as well. After the most sensational debut in Formula 1 history, Lewis Hamilton has become a household name and front-page news around the world. Right from the start of the 2007 F1 season Hamilton caused a huge stir, finishing third in his first race and then scoring his maiden victory, in the Canadian Grand Prix, in only his sixth race and his second a week later at the Indianapolis Motor Speedway. 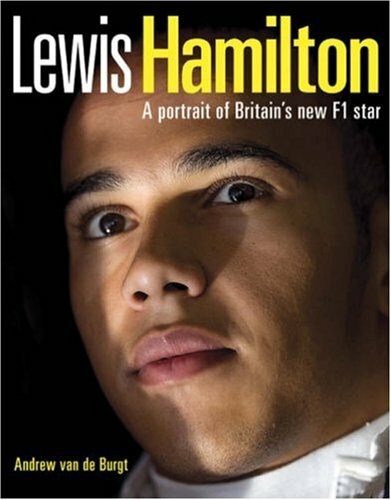 The 22-year-old Englishman has revitalized Formula 1: his lack of arrogance and cool-headedness seem at odds with the traditional make-up of Formula 1 stars, and his supreme confidence, self-control and natural talent suggest that his status as a sporting icon is already assured. Carroll Hall Shelby was a character, an icon in car culture, and has accomplished and failed at many things in life from chicken farmer to an 83 year old man who is now (again) advising Ford on the creation of a Shelby Mustang. The book goes back into Shelbys history in racing, the beginnings of the Cobra, the Daytona, the 427 Cobra, Fords battle for LeMans, the front drive Shelby Dodges, the infamous Series I, Shelbys participation in the development of the Viper, his quarter century-long running battle with the army of Cobra clonesters, and much more. 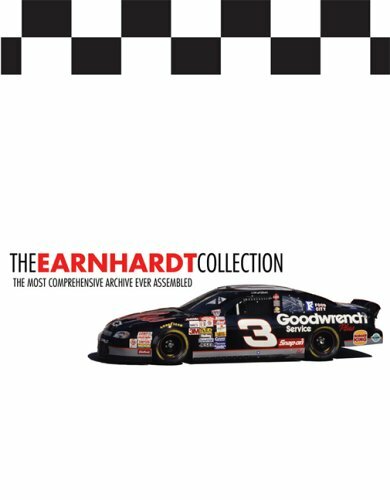 First off, this book contains some great info about the man and the cars, as well as some good quotes. What bugged me was two things.One; the book is filled with grammatical errors and feels like its written in the style of a middle school research paper. ("In march, shelby placed in third place at such and such racetrack.In june, he won first place at this other racetrack.In august...")Secondly, the author CONSTANTLY cites other books written on Shelby.On the one hand, it's good that the author did his homework.But the sources are cited so often, you might as well just buy the other Shelby books. On a scale of pass,borrow, or buy, I would say borrow if you want to know everything about shelby, but if you're just a car fanatic like myself, there are plenty other (and better written) books about the topic, making this one an easy "pass". While first reading this book I became horrified as I found errors in grammar, syntax, tense, spelling, you name it.It reads like a first draft that was never proofread.The most annoying aspect of the book is the "good 'ol boy" style of writing with repeated use of "Texan" sayings throughout, beginning on page one: "Carroll Shelby was born in 1923, in Leesburg, Texas, a town what folks down there in East Texas call a 'wide spot in the road. '"After about the 25th such "Texism," this one referring to a "skilletful of rattlesnakes," I was well and truly annoyed, and I'm a Texan. What's more, chapter nine is devoid of this writing style.It's more erudite and articulate, with no "Texisms." It's as if it were written by a different author. If you can get past these things, the book is actually a delight to read, giving the general reader an engaging, accessible overview of Shelby's life, his campaigns with the Cobras and Ford GT's, the building of the Shelby Mustangs, his dealings with Ford, life after Ford, the Shelby Series One, his battles with the Cobra clones, and his current adventures. 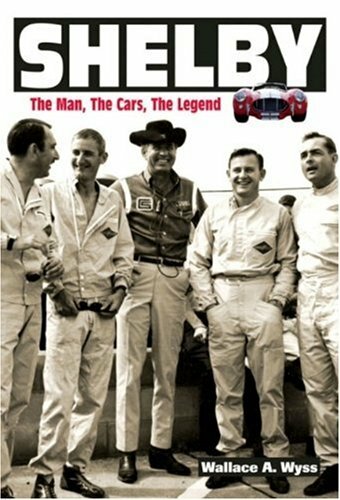 I have read very many books and articles on Shelby and FIA racing in the 60s, and I am reasonably well informed on the subject.I found that the book covered the life and times of Shelby and his cars with general information that can be found in other books; but every once in a while I would uncover facts, events, and anecdotes that I had not read about before, giving me leads to research further and thereby adding to my knowledge base. For example, there is a reference to a one-off Cobra Coupe built by the A.C. factory for LeMans 1964 with a body very different from Shelby's coupes.There is also a brief mention of the Lone Star/Cobra III coupe, a one-off that was to be the successor to the Cobra.There are very few photos in the book,and none regarding these two cars, but with Google you can find photos and further information regarding the A.C. Cobra coupe and Lone Star as well as anything else mentioned in the book. If you can accept with good humor the writing and editing quirks, then you will enjoy this story, told in an informal, down-to-earth manner.For the general Shelby enthusiast, this book is entertaining and informative.The well-informed Shelby enthusiast will also find it a worthwhile read and hopefully unearth some new insights into Shelby's life, his times, and his cars. A book in search of a proofreader! One of the aspects that makes this book intriguing, is that it covers the time span from just before Shelby started racing, up to the point when the new GT500's started production. The book attempts to span roughly 60 years of Shelby's life - trying to cover them in just chapters or a condensed book naturally won't cover his entire history in depth.However an admirable attempt is made. Where this book falls short, & there is a huge weakness here, is it's quality - spelling, grammar, repeated words, use of both a current & past tense next to each other like he couldn't decide which one to use & forgot to go back & delete one of them, as well as historical & technical errors. If any book has ever called out for an editor & proofreading, this one is it!It would make the basis of a good first draft, if he had only had a proofreader or editor go over it & make the numerous corrections first. If one can look past the poor quality & errors, it makes for some interesting reading, as long as one doesn't attempt to take it as ultimate source for Shelby info. I bought this book for my husband, a car fanatic.He was very disappointed.He said it was poorly written, not proofread at all, and he does not recommend it.We are avid readers, owning several hundred books, and he did not like this one at all.